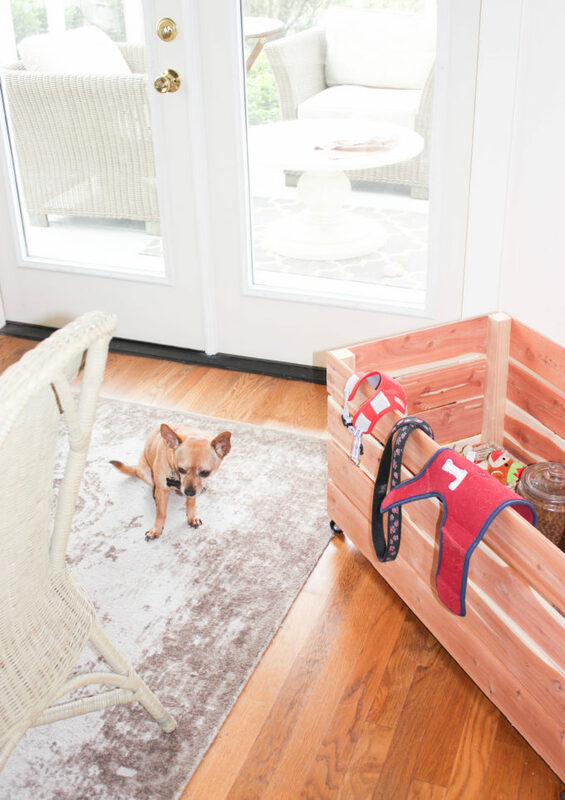 Maria from Simple Nature Decor created this amazing #DIYCedar pet storage cart on wheels! 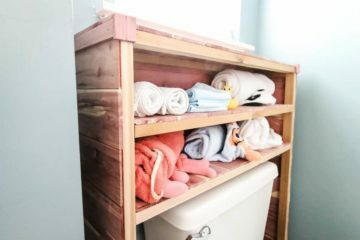 Using some plywood, 2×2’s, caster wheels and some wood screws, she was able to create a versatile cedar storage closet for pet supplies. 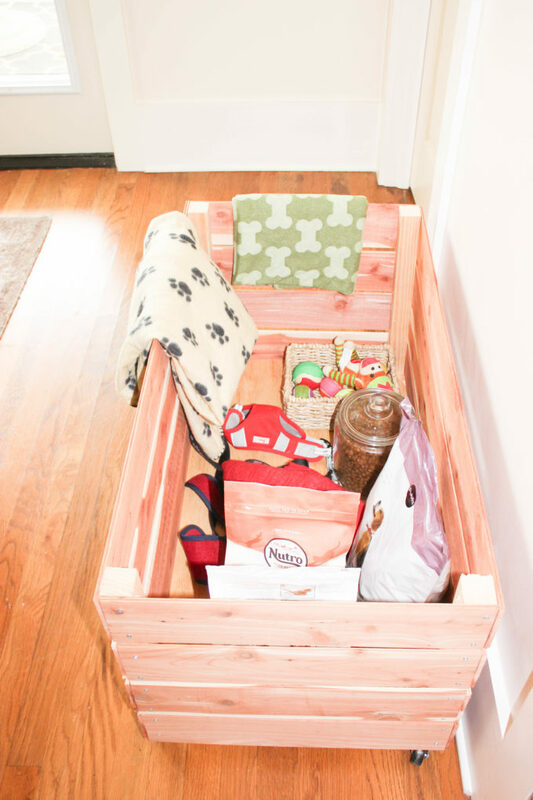 Cedar is great for pet supplies, as its pleasing aroma helps with common pests and can help with that annoying pet smell that can happen with pet supplies and food. 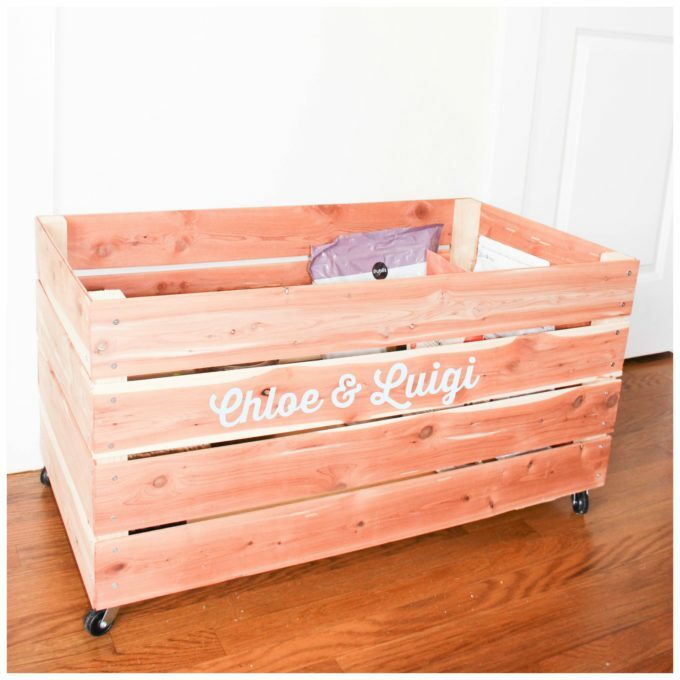 Maria started out with a 1 1/2″ plywood base, measuring at 34″ by 18″. 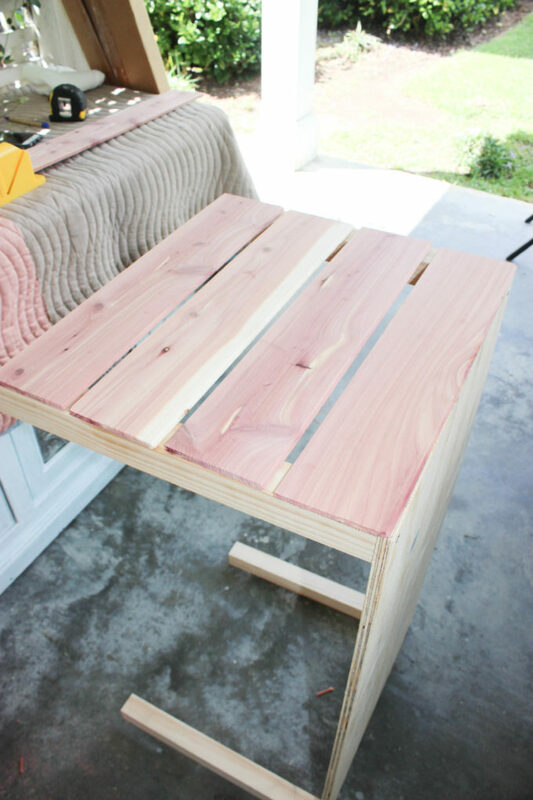 She then used four 2×2’s cut at 16″, and cedar planks cut at 18″ and 35″. She drilled the 2×2’s into the plywood base, securing them with wood screws and some wood glue, which can help with stability. If you’re feeling a bit more adventurous, you can even try using one of our Aromatic Cedar Shelf Liners (they come in a 2-pack) as your base, and that will help with stability and add even more of the Cedar Aroma. 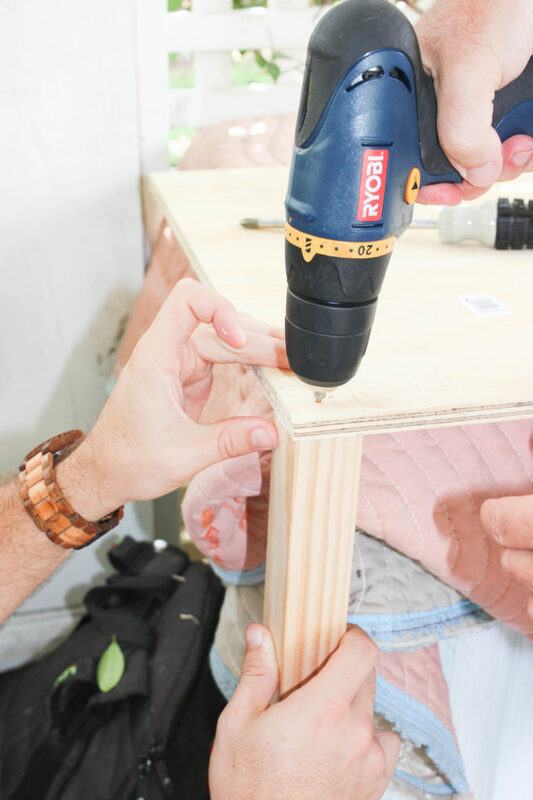 Next, Maria drilled small holes for the screws, using 1/2″ screws to attach the planks on each end of the plank to the legs. 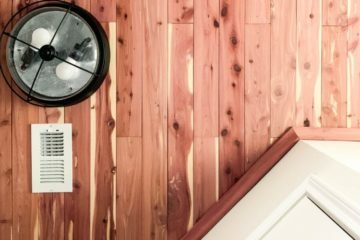 You’ll want to put at least two screws, nails, or staples into each side of each plank, especially if you’re going to be using the bin to store anything weighty or that could roll around. 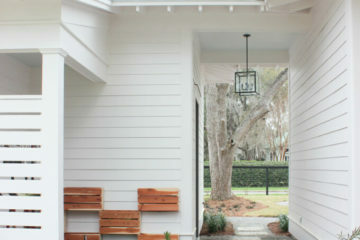 (For example, my dog’s tennis ball collection could use something like this! Once you’ve finished all four sides, attach the castor wheels on each of the edges of the base using a 1/2″ screw. 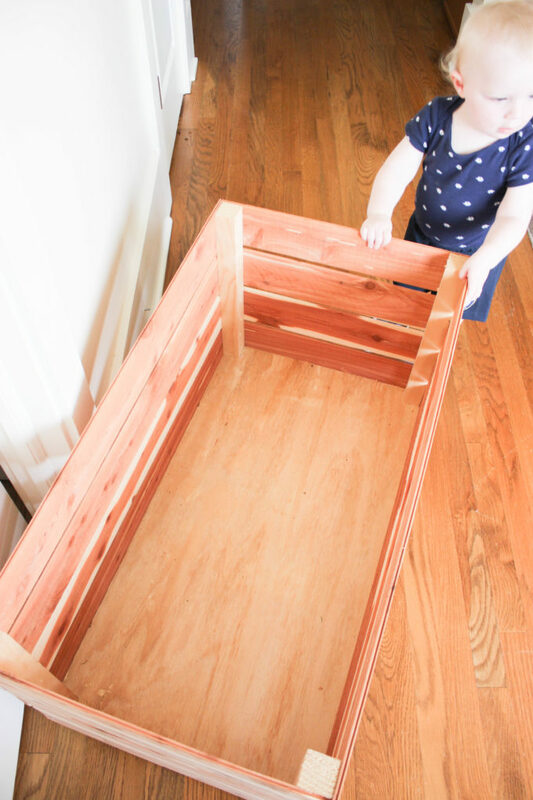 Please enjoy more of these pictures from Maria’s build of her #DIYCedar Pet Storage Container! 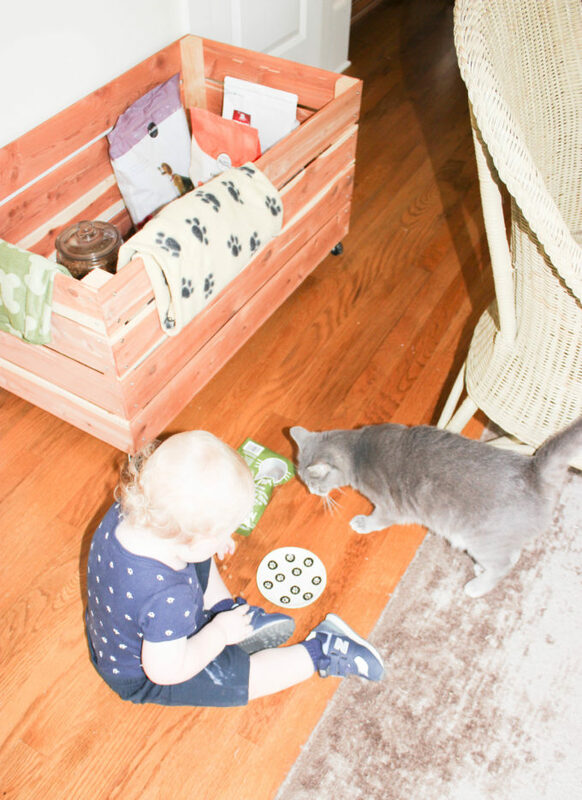 The storage chest is adorable, her baby, cat, and dog are adorable, and we are so happy we could partner with Simple Nature Decor to create such a fun and simple #DIYCedar project! 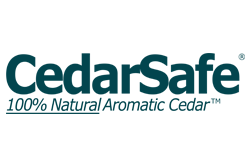 If you’d like to view more step-by-step pictures, please check out Maria’s blog here, and whether you need to plan your project, install your cedar, or are just looking for inspiration, CedarSafe has you covered.